I am a complete stress head. I truly believe that deep down I simply enjoy being stressed, why else would I worry over such menial things? As a result my skin can play up, blemishes and redness are my current dilemmas. Blemishes I am used to but the redness is entirely new and to be honest something I'm struggling to deal with, which leads me to Kiehl's Skin Rescuer. Kiehl's Skin Rescuer is essentially a moisturiser, a light weight one that contains an abundance of shea butter which is said to be a great source of antioxidants which with continuous use can help to not only repair the skin but also protect it from future damage. I do have to stress (no pun intended) that this is not an anti-ageing product nor does Kiehl's specify just what areas of stress this will repair. When I am stressed my skin flairs up, it becomes blemish prone and recently a little ruddy neither of which is solved when I use this lightweight lotion. I am a patient person when it comes to skin care and even with a fortnight of use neither issue is eradicated in any shape or form. However it is a great everyday moisturiser for oily skin types, it hydrates, keeps skin comfortable and oddly soothes any itchy areas. It doesn't overwhelm oily skin nor does it break my skin out nor block pores. It is non-greasy, quickly absorbed and is great for morning use as it does not interfere with any make-up applied on top. If you have oily and sensitive skin this is definitely one I would look into as it does tick all the boxes on the front - to reduce redness or heal blemishes? Look elsewhere. 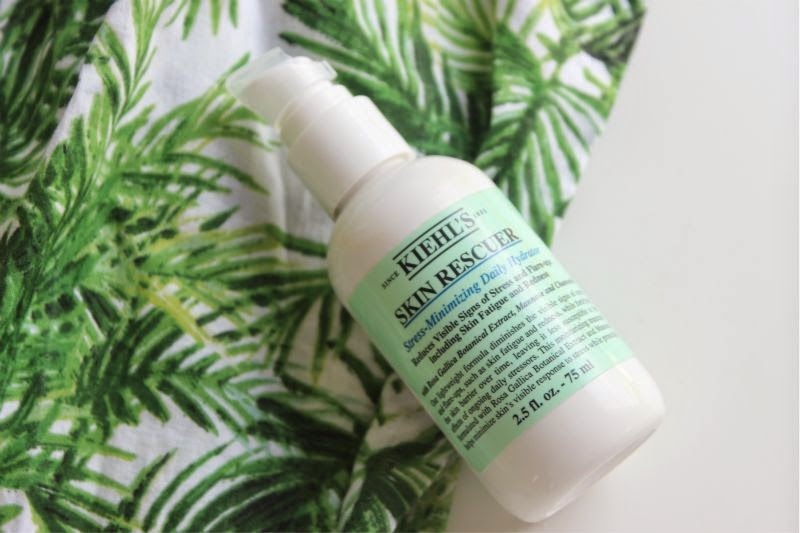 Kiehl's Skin Rescuer £29.50/75ml via Kiehl's - link. I love this moisturiser too, I am literally on my last dregs and plan on repurchasing it soon. It keeps everything really hydrated and soothes any redness really well. It's a great one to travel with too with the handy pump! Never tried anything from kiehl's need to check them out! I need this! Super stressed person over here too! This brand seems to have a lot of great products. It's really pricey here but I think it's worth checking out. I've loved all Kiehls face products that I've used so far, so I'll definitely need to check this one out too! sounds fab, i really need to try out more products from kiehls! This sounds really great, thanks for the heads up! This sounds right up my street! Love the idea of a light weight lotion!